Foodie turned blogger. How'd that happen? 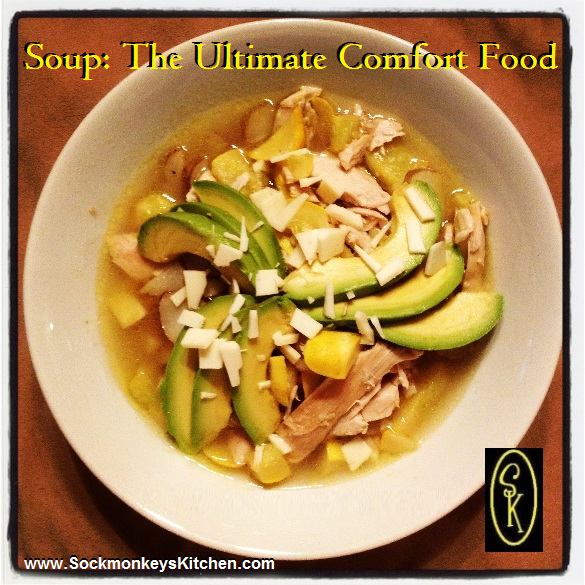 Ahhh, Winter… the perfect time of the year for soup! Who doesn’t like a nice steamy bowl of soup? I think each of us has that same memory of eating a bowl of soup, while watching Walt Disney’s Wonderful World of Color on Sunday nights. Or was that just me? In any sense, soup is one of my favorite things to make. However, I don’t think I ever make the same one, since I tend to grab whatever I have around the kitchen that day. Today I’m going to walk you through the way that I make a poultry soup. So, on the menu is turkey and chicken. I suppose you could certainly make a duck soup, but I’ll leave that one up to you and the Marx Brothers. Be awesome. Subscribe today! YAY! Enter your email address to follow this blog & get new recipes each week! Sign Me Up for weekly emails! Transform Your Side Dish To Soup!